LAHORE: (Wednesday, March 14, 2018): Punjab University Vice Chancellor Prof Dr Zakria Zakar has said that libraries are source of generation of ideas and create diversity and depth in the way of thinking. He was addressing the book introduction organized by Punjab University Book Club regarding two books titled “Perspectives on Gender: Reader” and “Sociology: Themes and Perspectives: Reader” recently complied by the PU VC. 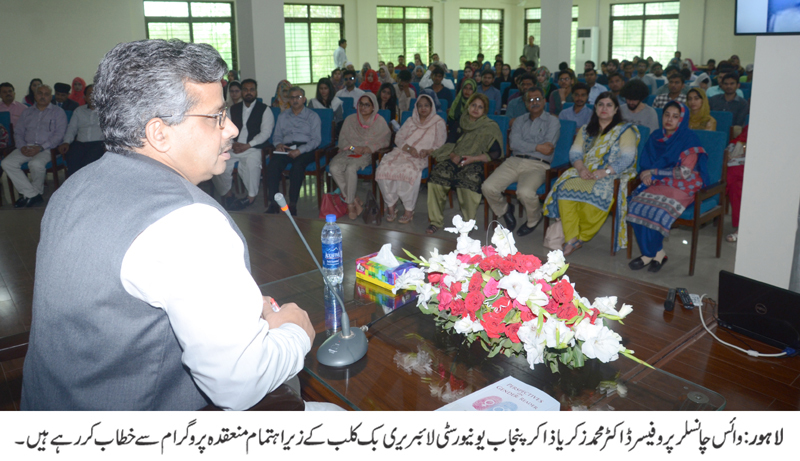 Chief Librarian Haroon Usmani, senior faculty members and a large number of students aspiring for attempting competitive examinations were present on the occasion. 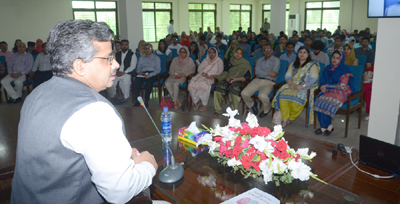 Addressing the ceremony, Dr Zakar said that libraries should not be used to improve grades only rather students must visit it to establish their connection with different fields of knowledge. He said that continuous interaction with libraries would help create innovative ideas in young minds. Giving brief introduction of the two books, he said that these books provide quick appraisals on the disciplines of sociology and gender studies and beneficial for scholars who want to understand the basic mechanism of social affairs as well as helpful for the students of competitive exams. He advised the students to adopt reading habits and master their subjects as reading habits improved writing and speaking skills of a scholar. He said libraries give chance to a scholar to go back in time and visualize the history through their valuable collection. He urged the students to contribute to the body of knowledge in their relevant disciplines. He said that Punjab University was an asset of Pakistan which was catering to the needs of lower middle class. Later, the VC visited various sections of PU Library.